ASRock is using an external base-clock generator to force budget-level Skylake chips to push beyond their limits. When Intel closes a door, it opens a window—or at least forgets to lock one down. In early February, Intel stopped the overclocking party for budget non-K-series Skylake processors by shutting down a loophole that allowed the practice. Now motherboard maker ASRock has figured out another loophole that allows you to figuratively crank your processor's base clock to 11, even on chips that ostensibly can't be overclocked. The roots of this saga go back to late 2015, when enthusiasts discovered that you could overclock low-priced Skylake chips—a feature Intel had previously reserved for higher-priced processors. Several motherboard manufacturers soon jumped onboard to support the “feature” including ASRock, Biostar, and EVGA. Everything was going swimmingly until early February, when Intel released an update to shut down the overclocking loophole. Intel’s move was understandable, as the company would rather drive overclockers to more capable chips. Overall, Intel advises against overclocking even on chips where it allows the capability, but that goes double for the cheaper processors, which don't officially support overclocking whatsoever. 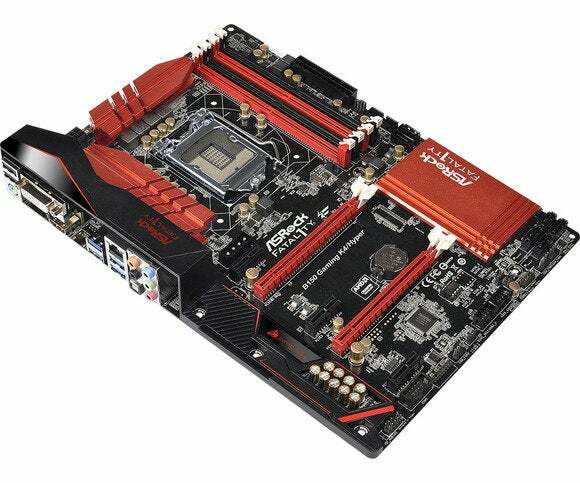 ASRock’s new motherboards use an external base-clock generator. Now, however, it looks like budget overclocking is back thanks to a neat trick, as first reported by TechPowerUp. ASRock announced two motherboards—Fatal1ty H170 Gaming K4 HYPER and Fatal1ty B150 Gaming K4 HYPER—that use a separate, external base clock-generator to give overclockers more control over their systems. 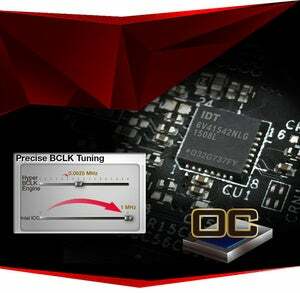 The company’s marketing materials show that you can tweak the processor’s clock in increments of 0.0625 MHz, providing you to fine-tune your your system's speed with precision—and allowing you to increase the base clock past the limits set by Intel. The story behind the story: Enthusiasts love squeezing every ounce of performance out of their hardware, even if that means breaking their warranty—which overclocking often does. 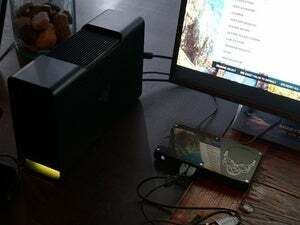 But Intel's worked hard in recent years to limit that capability to pricey K-series processors only, and the recent update to squash the first round of unofficial overclocking capabilities shows the company has no intentions of letting that change in the near future. It’s not clear if Intel can counter this latest move by ASRock, but my guess is we’ll find out soon enough.